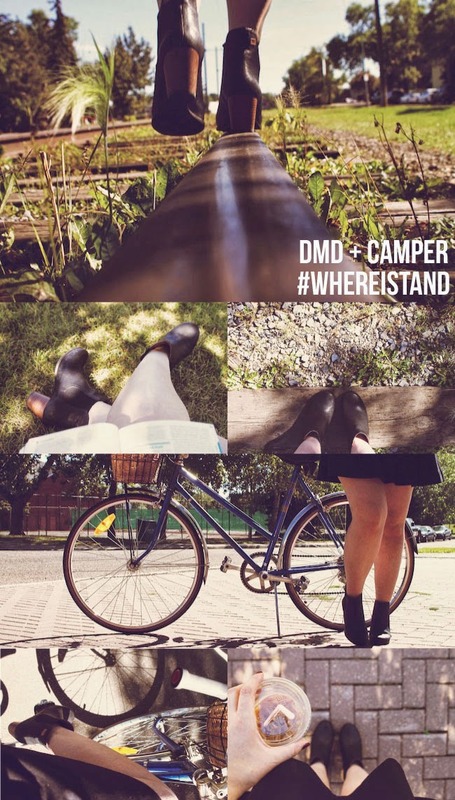 The fine folks at Camper asked me to capture one of my very unstructured days for its #WhereIStand campaign. I slipped into my new Camper ankle boots, the Annie Altos, and set off to give them a glimpse into a day in the life of Dress Me Dearly. It all usually starts with a jaunt to my local coffee haunt for much needed java fuel. Most afternoons are spent answering 1,000 emails and daydreaming in the park. By mid-afternoon I'm usually off on a breezy bike ride to meet a client, followed by iced coffee with my best gal. I didn't dare post my after dark activities. Life is good I'd say. See more pics from the #WhereIStand campaign by following Camper on Instagram.